Look whooo showed up to get his photo taken during the mini-sessions! 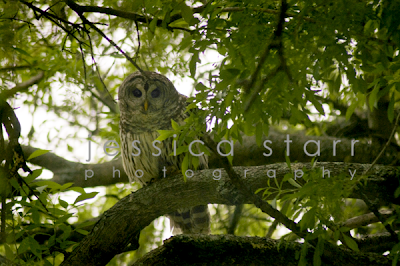 I was waiting for the next family to arrive for their mini session, when I heard this guy above me say,”Yooo hoooo! Take take my picture!” So I did. Then, the family arrived, he flew away, and I forgot about it until I got home and was checking the images! I know some people think professional photography is expensive. Here is a link that addresses the issue. Sending out Christmas Cards this year?